Love her or hate her, Taylor Swift just released her new album 1989 and it’s pretty impressive. 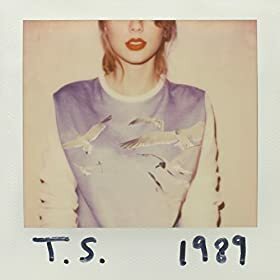 Although she’s basically America’s sweetheart and all over entertainment news, she’s made some pretty jam-worthy music in the past (let’s just quickly remember “Our Song”) and this album is no exception. “Welcome To New York” is probably the weakest song on the album. It just seems really basic and kind of below Swift’s talent level. I guess it does capture the feeling of someone stepping out of the subway with bright eyes looking at the shiny place that is New York City, but the lyrics are just not up to par with the rest of the album. Speaking of strong lyrics, almost every song seems to be written about Harry Styles, according to every media outlet talking about 1989. Even though she obviously had someone in mind while writing these sweet tunes, it’s super easy to picture your own relationships while listening. The only song that’s super duper specific to Swift’s life is “Out Of The Woods,” which is supposedly about the time Swift and Styles got in a snowmobile accident, which is a weird thing to write a song about but it’s catchy beyond belief so more power to her. By far the catchiest song on the album is “Style.” It’s becoming an early favorite for a lot of people, including me, which is obviously a good sign. The chorus is just SO catchy it hurts. If this song doesn’t make you want to go out and buy red lipstick and a tight little skirt, then you must be listening to this song wrong. In a weird way, the dark horse of 1989 seems to be “Wildest Dreams.” It’s not that it doesn’t fit with everything else, but it’s almost as if Swift took her mindset while writing Red and mixed it with her mindset during "Sparks Fly" and wrote this song, which isn’t a bad thing at all. It’s a slower song compared to some of the other upbeat melodies, but it has potential to be one of those songs that is just phenomenal when performed live and I’m really excited to see what she’ll do with it. There isn’t really a song that is just so bad that I skipped it every time I listened to this album, which is really impressive. “This Love” is a little too easy to look over and “Bad Blood” started to get a little annoying to me after like a million listens, but I mean what song doesn’t get annoying eventually? Almost every song has the potential to be a single, especially “Blank Space” which is already a huge hit with fans on the Internet, and for good reason. Taylor Swift really took it up a notch with this release and showed people that she’s not just a country- pop crossover artist. 1989 is bound to get a lot of attention for a very long time, so get ready. 1989 is available now via Big Machine Records.